Nancy Winship Milliken Studio trades studio for farm and creates work in collaboration with and in response to farming communities. 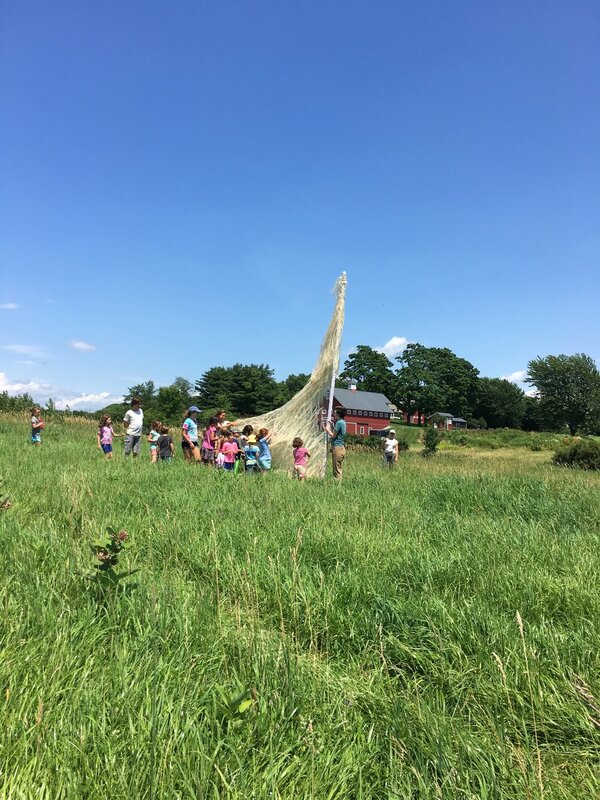 From 2017-2019 she will be in residence creating work in response to the landscape, animals and community at Bread and Butter Farm. In 2017 Burlington City Arts commissioned a piece for the Of Land and Local exhibition shown in Burlington, Vermont. Photos by Sam Simon. 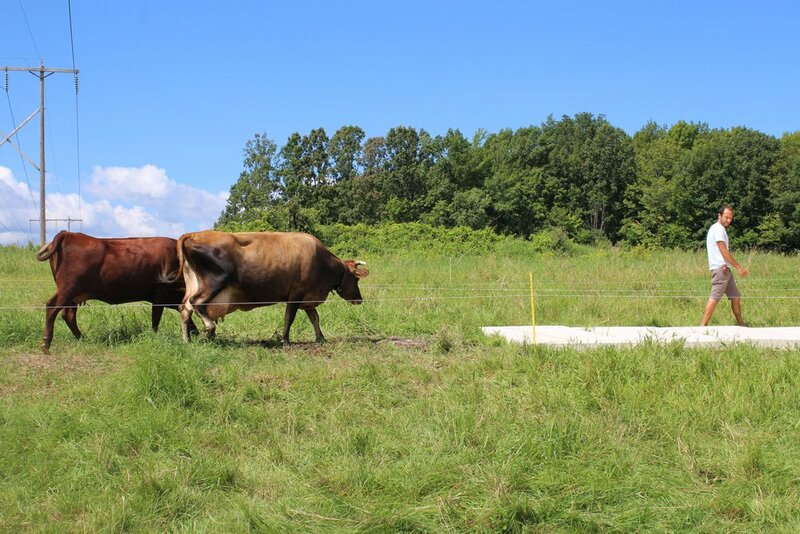 Intensive Rotational Grazing 8x28', canvas and earth. Statement about the piece is in the images. 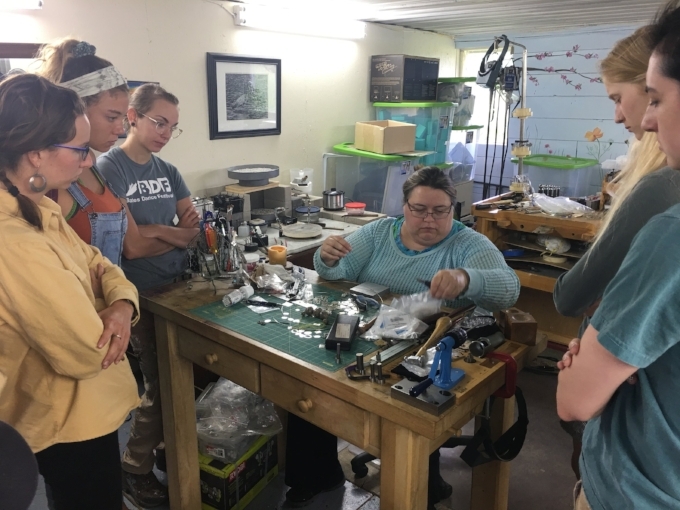 Students from different universities who are interested in environmental art are welcome through a selected process to intern during the summer and school year. Many students get college credit and have been awarded grants for this opportunity. We welcome all majors. 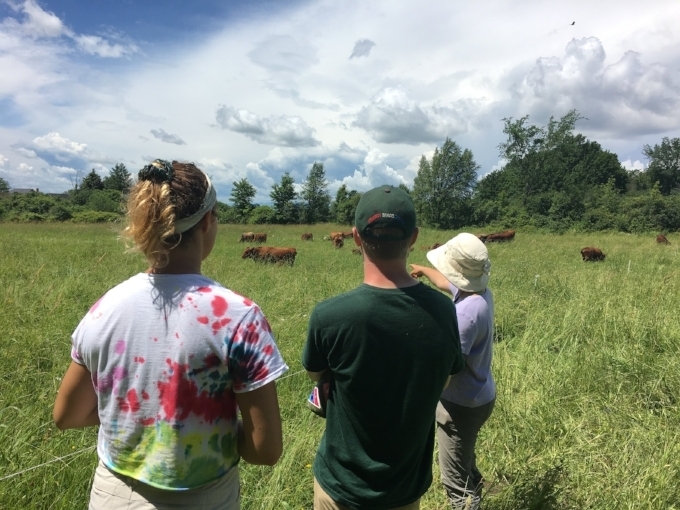 Past interns have been in environmental studies with minors in studio art, religion, architectural and landscape design, food systems, climate justice, art history, for example. Typically we will collaborate with a farm, making work in response to the landscape, people and animals surrounding us. All artistic disciplines are explored. Many times we are experimenting with materials to see what future projects can be realized, other times we are working on a specific project that needs to head out for an exhibition. 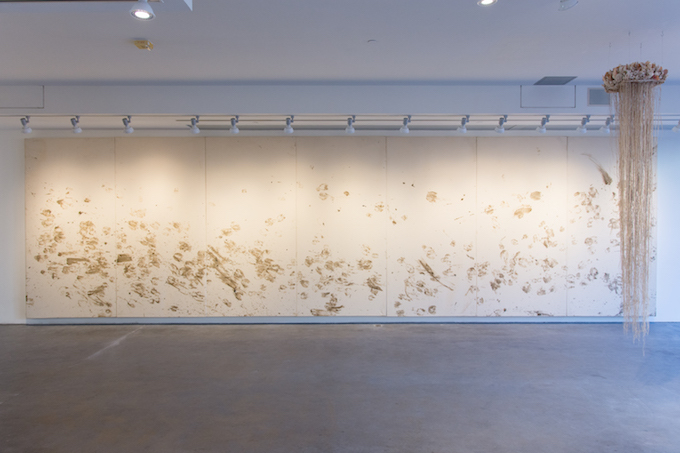 The studio is dedicated to using art as a communicator of climate justice and the environmental crisis we all face.